I think the Pink Floyd guys always had fantastic sound quality but the technology now really offers them what they wanted to have 30 years ago. 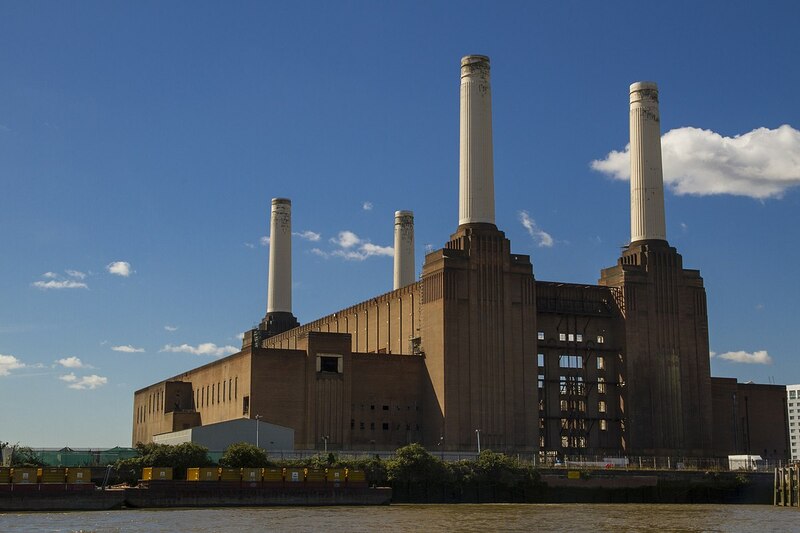 The Factory you see is (of course) Battersea Power Station, as seen on the Animals Album. It was projected as were many other things. I am listening to the Animals Album while I am typing this…. That reminds me of the factory pattern. A nice pattern that helps you creating objects where you don’t know at compile time what class you want to use. I use the Factory pattern in a model where I have 3 different platforms to generate code for, Linux, Windows and Keil CMSIS, and there is a possibility that it needs to be adapted to QNX as well. I want to have a common debug output but also some interprocess communication that works different on all platforms. Now that sounds cool but when you need to instantiate the objects (semi-)dynamically you cannot use that. You have to call something that is not the same on all platforms. This is where the factory comes in. You create a global Class/Object (with a fixed name i.e. AbstractFactory) that has a static function “getInstance” (Yes correct… that is a singleton!) that checks if a static variable is already filled with a value. If NULL it will create an object and store it in the class variable otherwise it just returns the variable. You then have a certified entry point. The Abstract Factory class should then have functions that create concrete factories for the environment. In this case I needed a LinuxFactory, a QNX Factory and a Windows Factory. In the concrete factories you will make create_xxx functions that create objects for the classes you need. This can be multiple objects but also a singleton. This will give you a pointer to a class that handles the debug output. This is also a singleton. For the IPC it was just a “new” that created an IPC Channel. Program to an Interface rather than to an implementation.